Let me be the first to admit that I do not take the best care of my teeth, or any part of me really. I do the minimal. I hope that my kids do better but if their example is not a good one then we can guess how it will go. This spring, our family has gotten on board with taking better care of ourselves especially our teeth. Our 6 year old is normally pretty good at flossing her teeth thanks to kid-friendly flossers like Plackers. 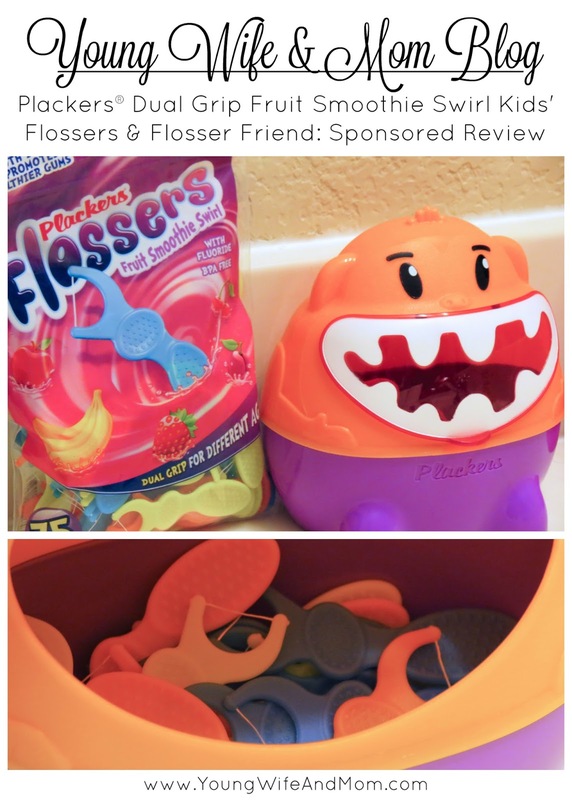 We have been purchasing Plackers Kids dental flossers for years now and I was so excited when they contacted me to review their new Dual Grip Fruit Smoothie Swirl Kids' Flossers!! When our review package arrived, our daughter was so excited to try everything. There was a package of the 75 count Dual Grip Fruit Smoothie Swirl Kids' Flossers as well as a Flosser Friend, which includes a smaller package of flossers. She immediately opened the flosser friend and placed the flossers inside. She opened this silly monkey's mouth and picked a bright blue flosser. She loved the flavor and wanted to test out one of each color. I helped her reach some of the farther back teeth and it really was nice to have the grips. She couldn't wait to get to use them again the following day. I was offered a free flossing by her, but I politely declined. She wanted to use them again just that bad. These are definitely a winner for us! To make sure our daughter doesn't speed through brushing her teeth, I found a small sand timer and keep it on her bathroom sink. It makes it more of a game to see if she can last longer than the timer. If your child thrives on rewards based tasks, then you should definitely check out this handy chart from Plackers to keep track of their flossing here. 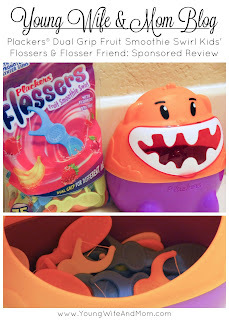 These wonderful flossers are a steal at under $10! The Dual Grip Fruit Smoothie Swirl Kids' Flossers 75 count package retails for $4.00 and the Flosser Friend retails for $5.99. They are available at Walmart and Target as well as other retail stores. Disclosure: This is a sponsored post on behalf of Plackers. I regularly purchase flossers from this brand on my own. All opinions are solely mine. How do you get your kids to take care of their teeth?